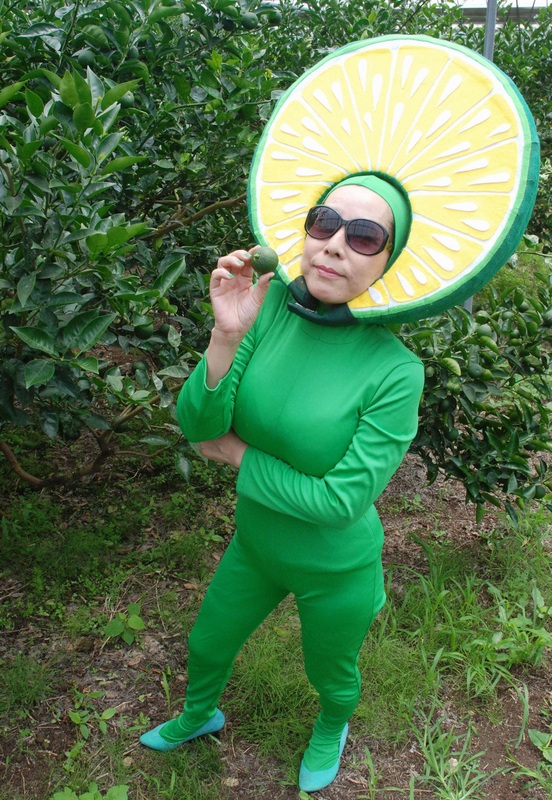 MIYAZAKI - A new character representing the city of Hyuga, Miyazaki Prefecture, has come under the public spotlight along with the city’s campaign to promote a local delicacy, the “hebesu” citrus fruit. Named after American pop singer Lady Gaga, Lady Hebe entertains the public wearing a green body stocking, a huge pillow resembling the fruit on her head and smiling from behind a big pair of sunglasses. 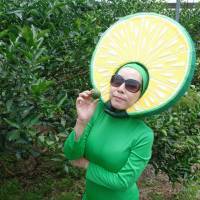 Lady Hebe made her debut last October and has since been promoting and selling Hyuga’s produce at local festivals and city events. “The hebesu of Hyuga are great to use as a dressing on food, but beer with squeezed hebesu juice also tastes delicious,” Lady Hebe boasts, leaving customers and visitors intrigued about her true identity, which remains unclear. According to the agricultural cooperative JA Hyuga, although the hebesu closely resembles other Japanese citrus fruits such as Tokushima’s “sudachi” or Oita’s “kabosu,” its profile is still low. To raise the popularity of hebesu, the association intends to continue using Lady Hebe’s image.